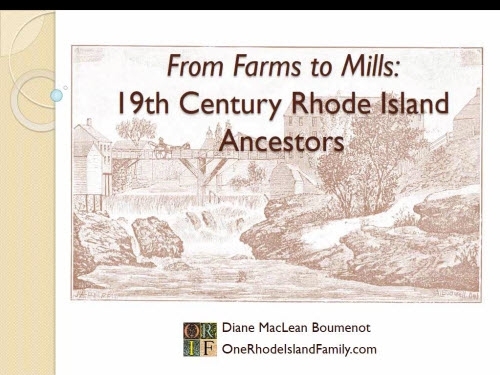 I occasionally get questions from those researching their northern Rhode Island Aldrich ancestors. 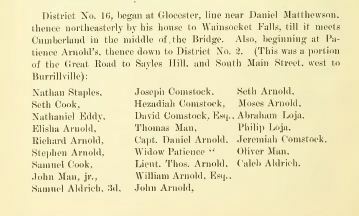 George Aldrich was an early settler of nearby Mendon, Massachusetts. 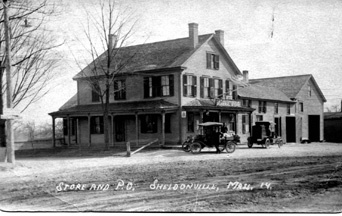 My Aldrich ancestors moved down into Sheldonville, Massachusetts and northern Cumberland, Rhode Island. 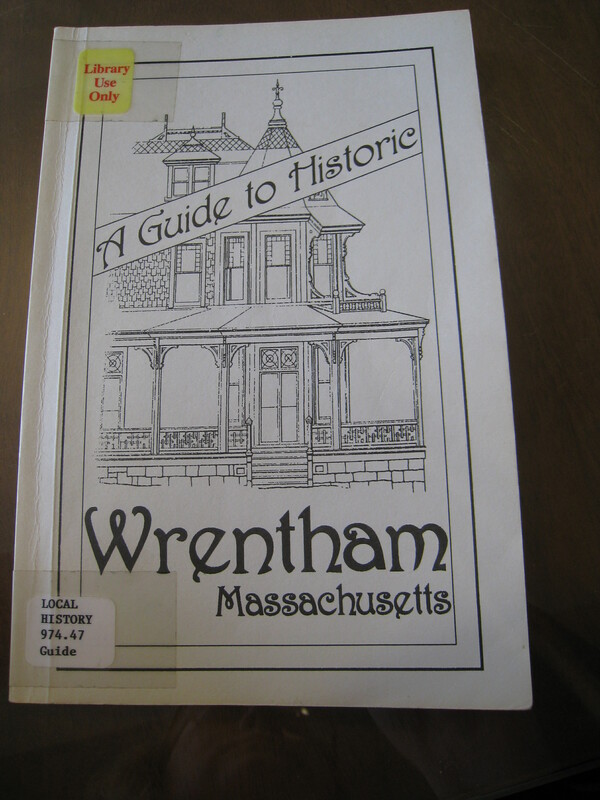 Recently I visited the library of the Rhode Island Historical Society. I wanted to look at some books and journals I had saved some notes about. Nothing much came of that. The Rhode Island Historical Society library on Hope Street, Providence. Photo by Diane Boumenot. But I overheard a conversation about photography and realized that they had eased up on their photography rules. So that was good news. I decided to photograph some pages of the Aldrich manuscripts that I had used in the past. 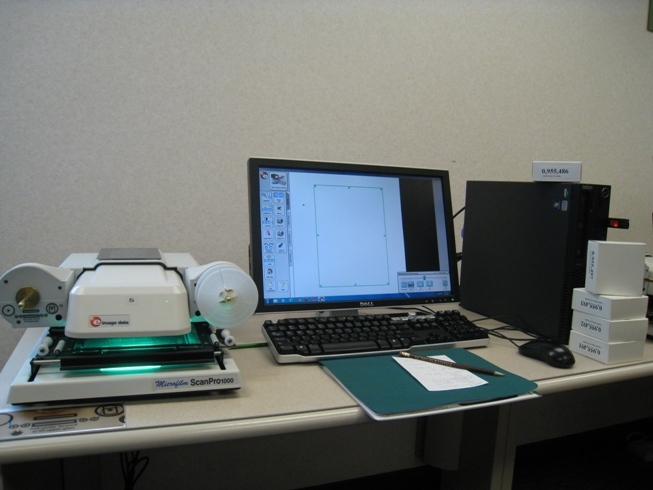 I had to use a paper slip in each photo crediting the RIHS, and use the photos only for my own use. The book is still under copyright but that would have been the case no matter what. It’s a little hard to describe these books so I’m glad to have a chance to write down some details here. 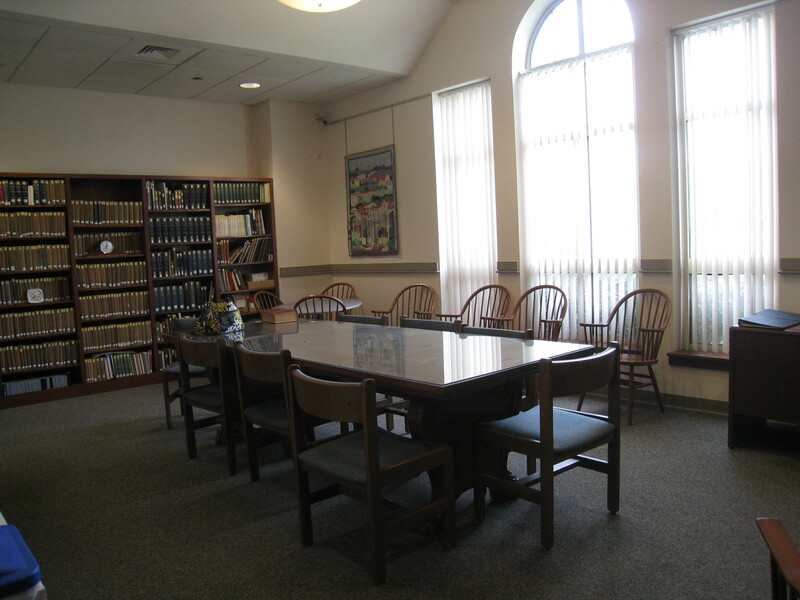 Newly renamed the Mary Elizabeth Robinson Research Center, the library has a lot to offer in the way of unique manuscripts, genealogy books and special Rhode Island collections. Photo by Diane Boumenot. 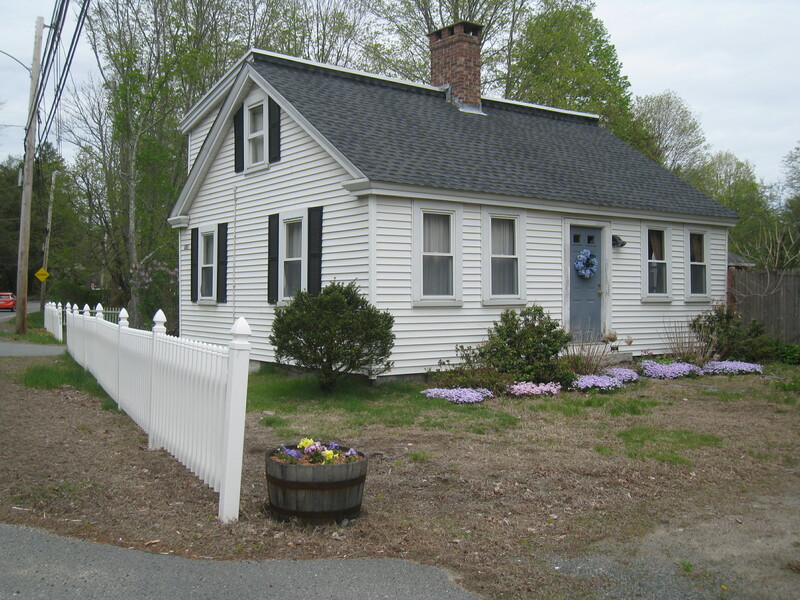 The Aldrich Family Genealogy – Descendants of George Aldrich of Mendon, MA, compiled by Ralph Ernest Aldrich (1902-1984) and his wife Pearl Lillian (Marquis) Aldrich was written over a period of several decades. The manuscript has an unusual genealogical format which might be hard to grasp right off. But these are the best books I’ve found on the Aldriches. They are the only books I can recommend. As always, I do my own research to prove relationships, but you can definitely get some clues and sources from these books. 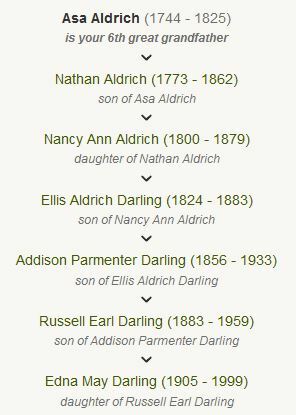 One thing that impresses me in particular is that they correctly report that my ancestor Nathan Aldrich’s first wife, Marcy, had only one child, Anna “Nancy” – not two as is often stated elsewhere. Author/Creator: Aldrich, Ralph Ernest, 1902-1984. Physical Description: 12 parts in 18 v. ; 28 cm. 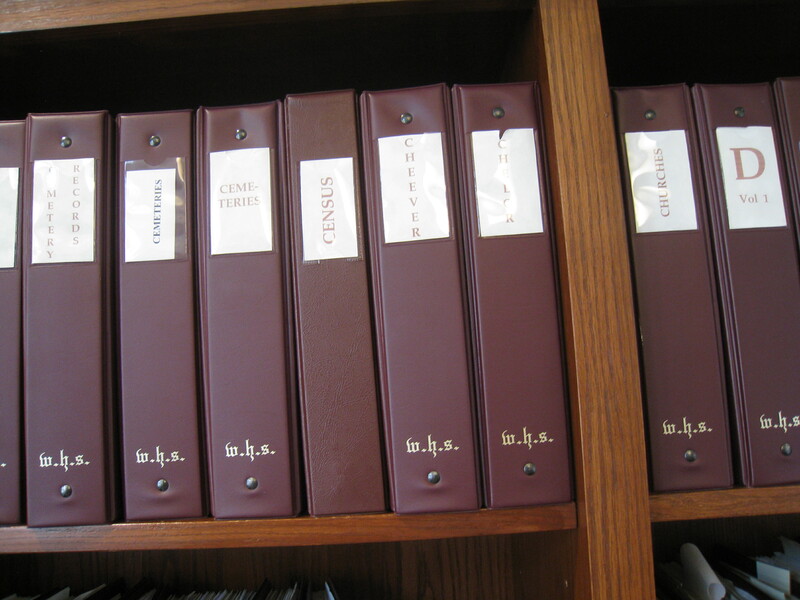 Parts organized A – K. Alphabetical within each part by given name. Pt. K. Arms, coats, shields. Indexes: parts B, C, D and E.
The set is divided based on the children of George Aldrich – his daughters are quickly tracked for one generation in volume one, then each of his sons Joseph, John, Peter, Jacob are covered for several generations – sometimes 4 or 5. I found the right Nathan Aldrich easily in the index to the “Jacob” volumes. Descendants in each of the four sons’ books are in alpha order BY FIRST NAME. So I looked up each ancestor by first name. 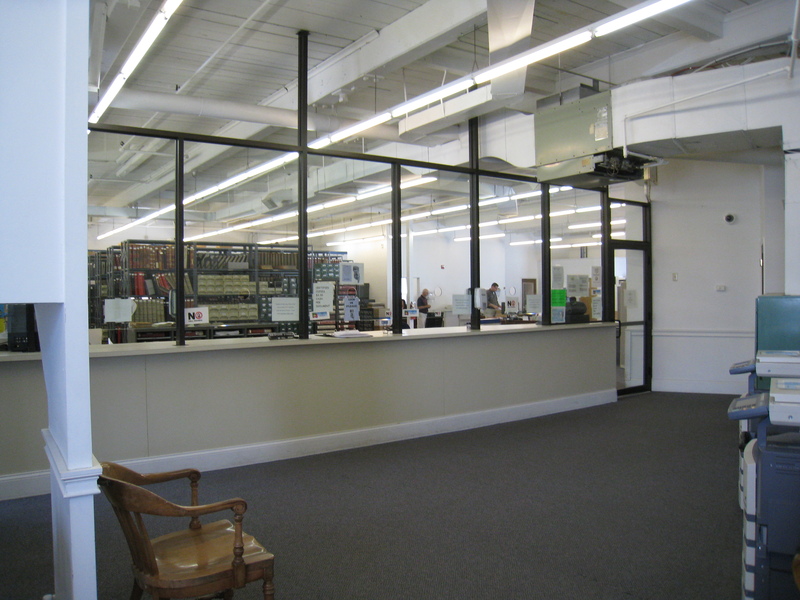 The Rhode Island Historical Society Research Center, Providence. Bound volumes shelved in Reading Room. 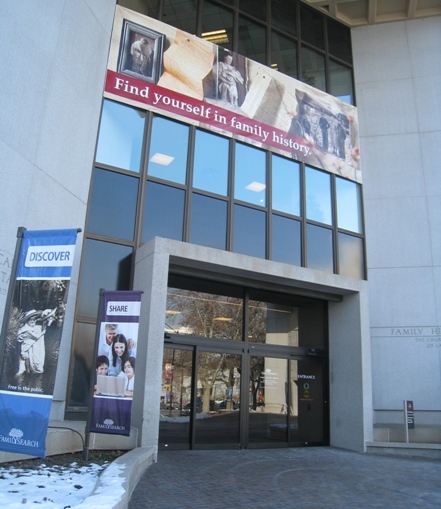 The New England Historic Genealogical Society, Boston. Manuscript 458. As far as I can tell, they have not been microfilmed by the Family History Library in Salt Lake City, nor does any digital copy exist online that I can find. Here is the Worldcat entry. It does not appear to be on Hathitrust or Internet Archive nor do I see any evidence that these pages were ever bound for sale. I suspect the Association had, at one time, bigger plans for the data – but I wish they would make the pages available online. I have learned quite a bit about my Aldrich line through this manuscript but I will need to further explore, verify and question what I’m seeing. I enjoyed exploring this set more closely at home from the few pages I photographed. I strongly recommend that New England researchers find a way to utilize this manuscript in one of the two repositories. (1) The website of the National Aldrich Association has an interesting bibliography for Aldrich research. Most of the books on the list are either specifically about certain branches, or not reliable, or I am just unfamiliar with them. The articles section farther down on the list is a unique compiled bibliography of research articles and booklets, and might be helpful, if you can access the journals. Oddly, the web page states that these volumes are unindexed, which is not true. Several years after the huge task of this project was initiated, it was learned that Marcus Morton (7) Aldrich (1834-1914) of the Jacob (2) branch had done a large amount of Aldrich research, but had passed away before he had completed a record for publication. Similarly, Charles Henry Pope of Cambridge, Mass. in 1916-1918 compiled considerable Aldrich data but died before having it published. 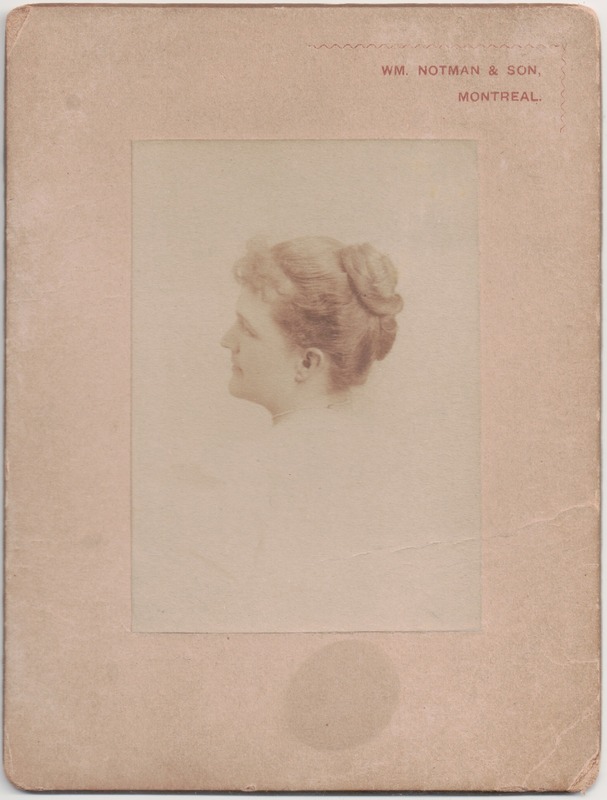 The Marcus M. Collection was safely kept by his son Frank Morton (8) (1863-1960), but was not readily available for viewing or use until mid 1961 after his daughter Florence Joanna (9) (1890-1974) had presented it to the New England Historic Genealogical Society, Boston, Mass. The Pope Collection was given to that Society in 1929, but general knowledge of it was not widely known. The Marcus M. Aldrich Collection consists mainly of hand written manuscripts and quite an assortment of small notebooks. The latter revealed a considerable number of problems in regard to lineage of quite a number of persons which remained unsolved. Most of the genealogical correspondence of Marcus M.(7) Aldrich became the property of Earl D. (10) Aldrich (1903-1979) of the Jacob (2) branch in 1961. Earl, very generously, shared review and use of it with others interested. Note that this Marcus Morton Aldrich collection (NOT the books I have been reviewing here) is available at NEHGS ONLY BY APPOINTMENT since it is stored off-site. Charles Henry Pope appears in the NEHGS card catalog numerous times but it’s hard to say which papers, if any, concern the Aldriches. 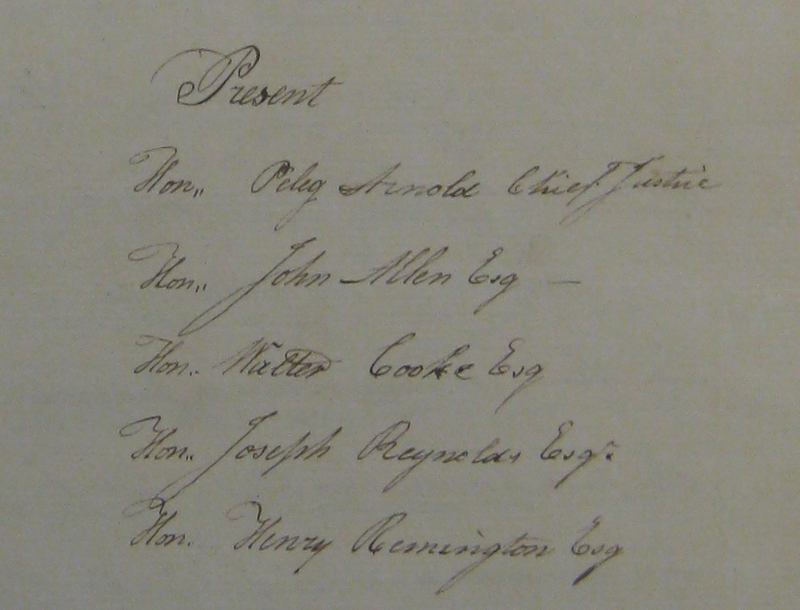 (3) Another unpublished manuscript that has information about the Cumberland, Rhode Island Aldriches is a folder in Abigail Sprague’s notes on the History of Cumberland (note – this is in the Rhode Island Historical Society library, Mss 1023). 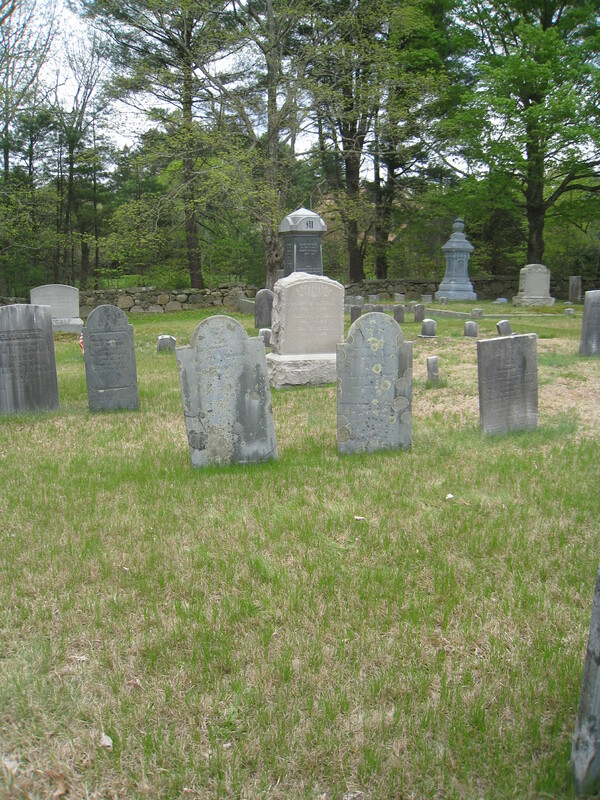 Graves of my 6x-great grandparents Asa and Lucy (Haskell) Aldrich at West Wrentham Cemetery. Photo by Diane Boumenot. 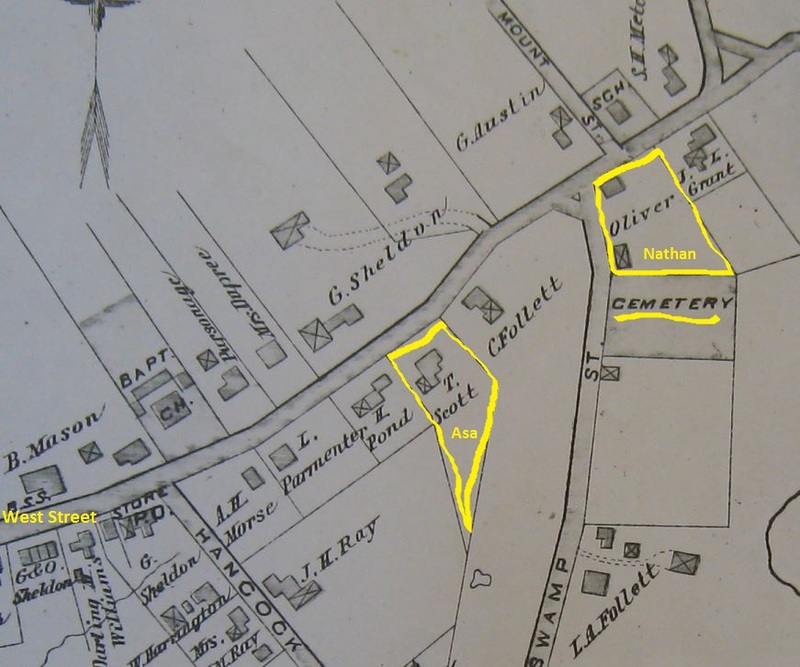 The question: Can I find a divorce record for my ggggg-grandfather Nathan Aldrich and his first wife, Marcy Ballou, around 1805? Nathan added Marcy to his family bible, which is located at the NEHGS, and later crossed her out. They had one daughter that I know of, my gggg-grandmother Nancy Ann (Aldrich) Darling. Late in life, Nathan Aldrich and his third wife, Lois, were living with Nancy’s son Ellis and his family. 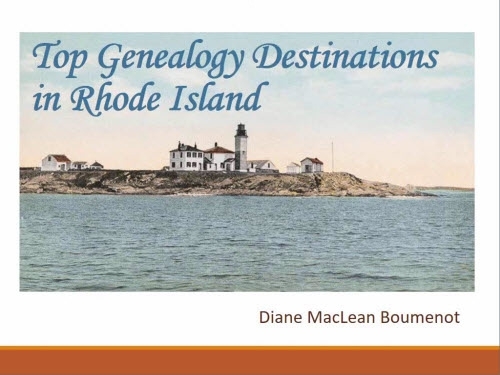 By 1809, Nathan and his second wife, Chloe, sold a piece of property to Marcy’s father Richard Ballou in Cumberland, Rhode Island, and from then on, lived in Wrentham, Mass. What I was NOT finding was any evidence of Marcy’s death. I wondered how that first marriage ended. In Rhode Island at that time, divorces occurred in the Supreme Court. 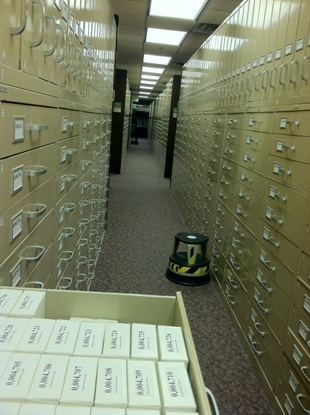 Records for the Supreme Court are stored at the Rhode Island Judicial Archives. 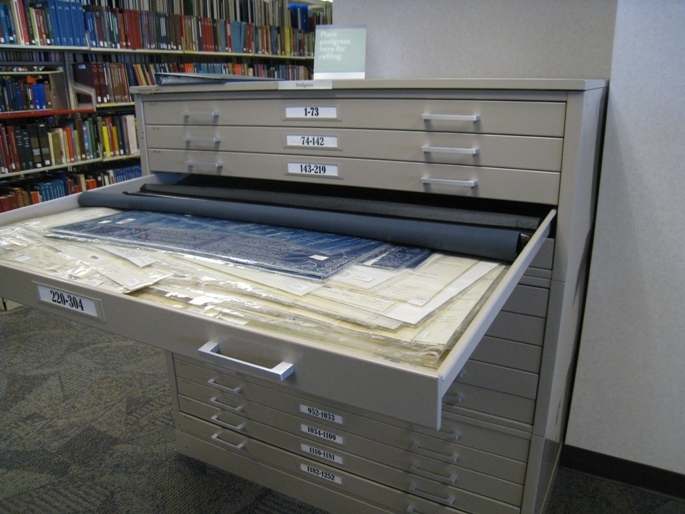 I wrote to the Archives last fall requesting that the file be looked up. The answer came back that it could not be found. More recently I decided to go in person, not knowing how much searching, if any, I would be allowed to do. 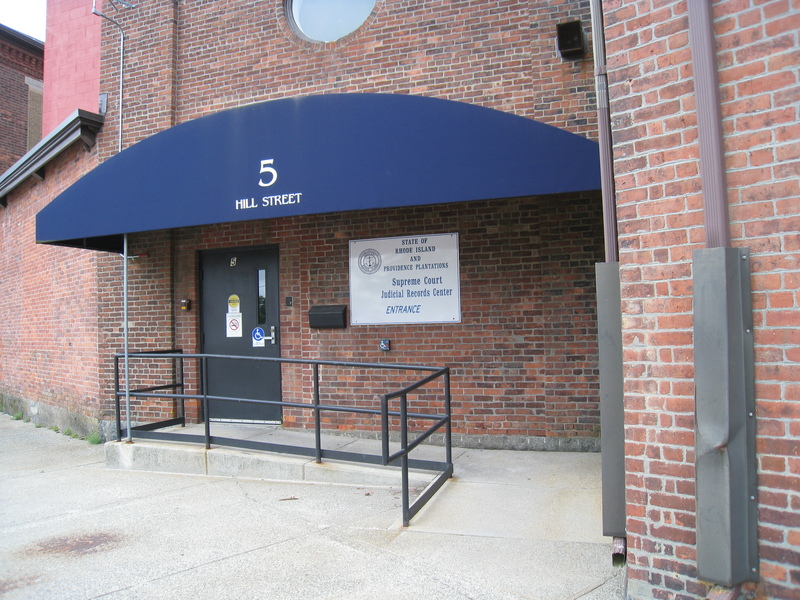 The Judicial Archives are located at 5 Hill Street, Pawtucket, R.I. There is free parking across the street. You enter and go up to the second floor, where you sign in. When I explained that I was looking for historical records, staff member Andrew Smith was called to assist me. I thanked Andrew for trying to help me via email a while back, and said that I was here with the same question. We talked about different forms of the names, and the time and place for the possible divorce. He checked the index again, no luck. He was willing to bring me the handwritten volumes summarizing ALL Supreme Court cases, in chronological order, from the period we were talking about. 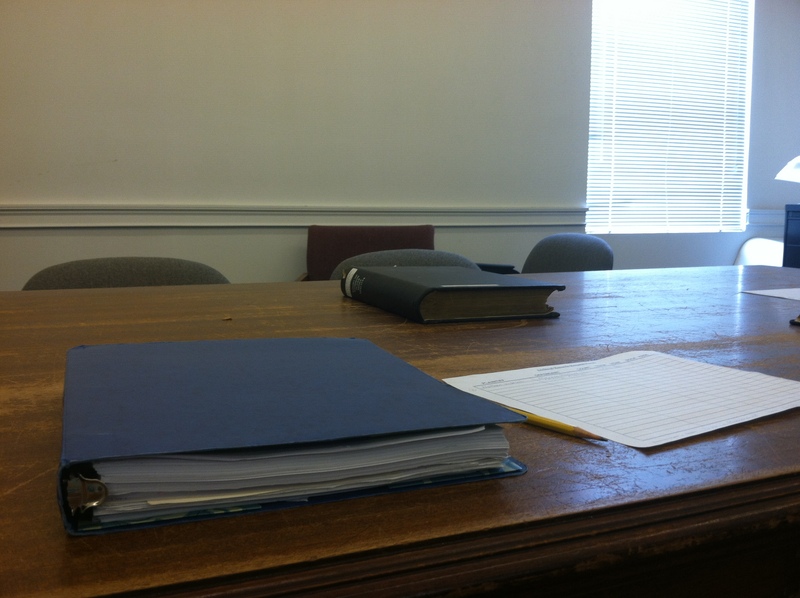 I sat in a research room containing an old conference table which had probably graced a courtroom 75 or 100 years ago. 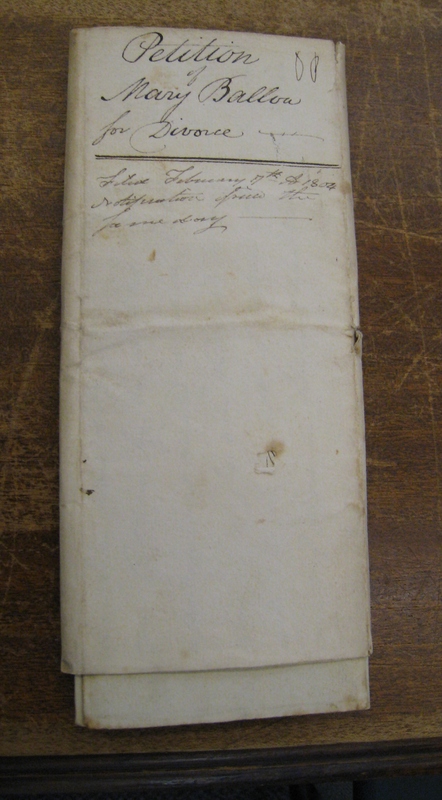 I settled in to go, page by page, through the two volumes he brought me, which ran from approximately 1802-1807. The first thing I noticed, as I paged through, was the set of judges on the R.I. Supreme Court at that time, which was repeated at the beginning of each “session” entry. This is why taking the time to page through, record by record, can be so valuable. If my theory about Marcy Ballou’s mother, Lucy Arnold, is correct, then Marcy was actually the great-niece of Chief Justice Peleg Arnold. This is getting to be SO Rhode Island. [p. 220] “M. Aldrich” Be it Remembered that at the present Term of this Court Marcy Aldrich wife of Nathan Aldrich of Cumberland in said County prefered her petition, praying for reasons therein stated, that a decree of divorce may be passed in her [p.221] favor dissolving the bond of matrimony now subsisting between her and her said husband and for alimony – after hearing the same. It is ordered, adjudged and decreed by the Court here, that the prayer thereof be granted. Of course I noticed the mention of a “petition” and “for reasons therein stated”. What was in the book was just a summary. The real divorce petition should have been stored separately. Unfortunately, that couldn’t be found. Andrew did find one for a “Mary Ballou” which he showed me, but it wasn’t my case. You can see that if the Marcy Ballou/Nathan Aldrich petition could be found, it would likely contain 6 or 7 sheets of information about the marriage. Andrew promised to try again to find it, but that has not been successful. I did notice in the summary record that she received alimony. After his newspaper ad refusing to pay any further debts of hers, I can only smile and perhaps, in a very not-based-on-evidence kind of way, assume this is some further proof that Chief Justice Arnold was her uncle. His name appeared on the session she was involved in, but whether he recused himself, I have no way of knowing right now. However, I now know that they actually divorced in 1803. 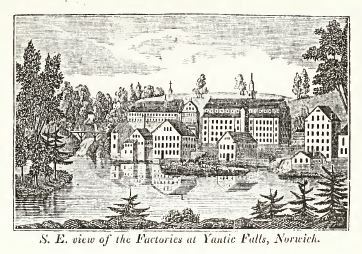 Nathan and his second wife moved a bit farther up the road into Massachusetts and had several more children. Marcy’s parents were in Cumberland, so I suspect she stayed there, however briefly. Later, there is evidence that Nancy Ann lived with her father. Did Marcy die? Remarry and move away? Become debilitated somehow? Andrew Smith, Judicial Records Center, absmith at courts dot ri dot gov. The Judicial Records Center web site gives more information about record holdings and making requests, but Andrew suggests you email him directly to save some time. I would suggest anyone traveling to the center might want to email in advance to check on availability of records, and open hours. My ggggg-grandfather Nathan Aldrich (1773-1862) had a brother David (1781-1879). Their father, Asa Aldrich, endeavored to give each of his sons a farm, but to David, he gave a college education instead. David’s choice of the ministry seemed to go wrong early on. 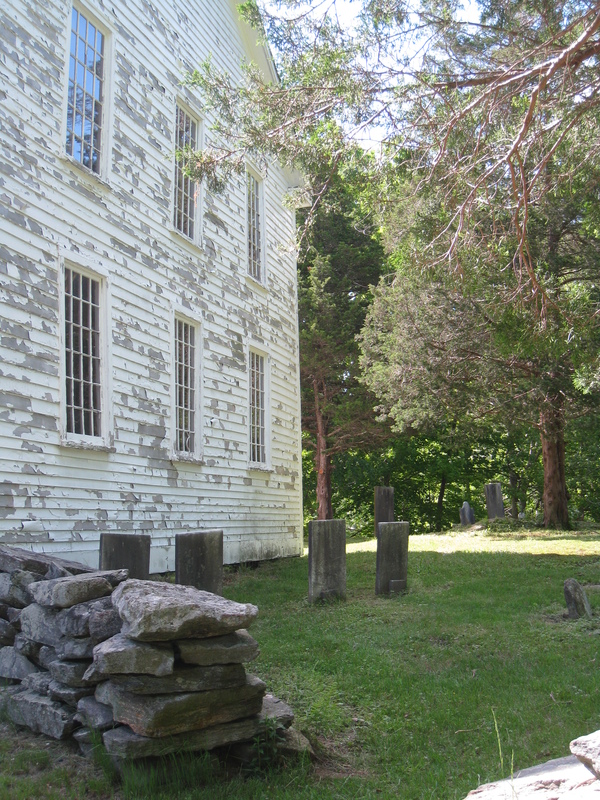 Instead, David lived a long and quiet life in Cumberland, Rhode Island as a farmer, on the estate formerly owned by Rev. Benjamin Shaw. 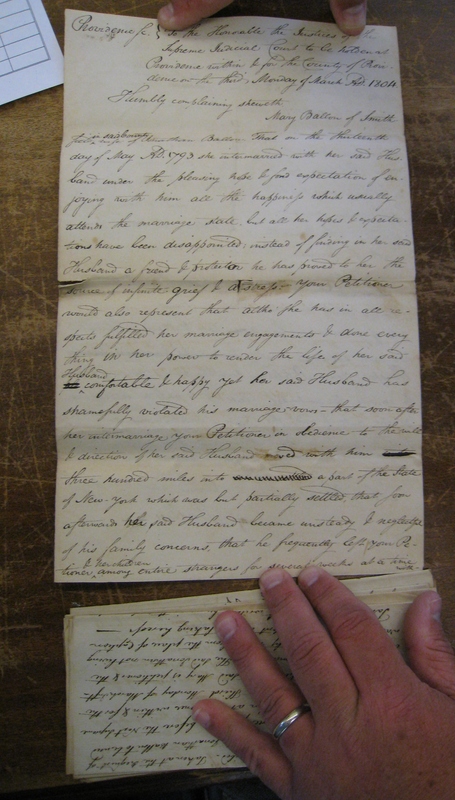 After Asa’s death in 1826, there seems to be some controversy about a copy of Asa’s will being destroyed by fire, and whether the copy David put forth was a true copy. It may take me years to get to the bottom of that. If you are curious about the sources so far, or a descendant of David, please contact me. Meanwhile, I’ve learned more about David through the two documents, below. On Wednesday last the annual Commencement of Brown University was celebrated in the Baptist meeting-house in this town. The degree of Bachelor of Arts was conferred on David Aldrich, Richard B. Bedon, David Benedict, John B. Brown, Martin Benson, Palmer Cleveland, Elijah Dexter, John G. Deane, Henry Holmes, Daniel Johnson, Daniel March, David Perry, Willard Preston, Lewis R. Sams, and Noah Whitman : — And the degree of Master of Arts was conferred on Benjamin Cowell, Gardner Daggett, John Godfrey, David Holman, Paul Jewett, David Leonard, Jeremiah Pond, jun. Jason Sprague, Jonathan Thayer, Daniel Thomas, and Wilkes Wood, all alumni of the University. The Reverend Henry Edes, of Providence, and the Rev. John Pipon of Taunton, Masters at Harvard ; the Rev. Joseph Clay, of Savannah, Master at Nassan-Hall ; the Rev. Elitha Williams, of Beverly, Master at Yale, and Dr. John Mackie, of Providence, Bachelor of Medicine at Dartmouth, were admitted ad eundem. Rev. David Aldrich, class of 1806, died in Cumberland, R.I., May 19, 1879, aged 98 years, 4 months and 5 days. He was the son of Asa and Lucy (Haskell) Aldrich, and was born in Cumberland, January 14, 1781. 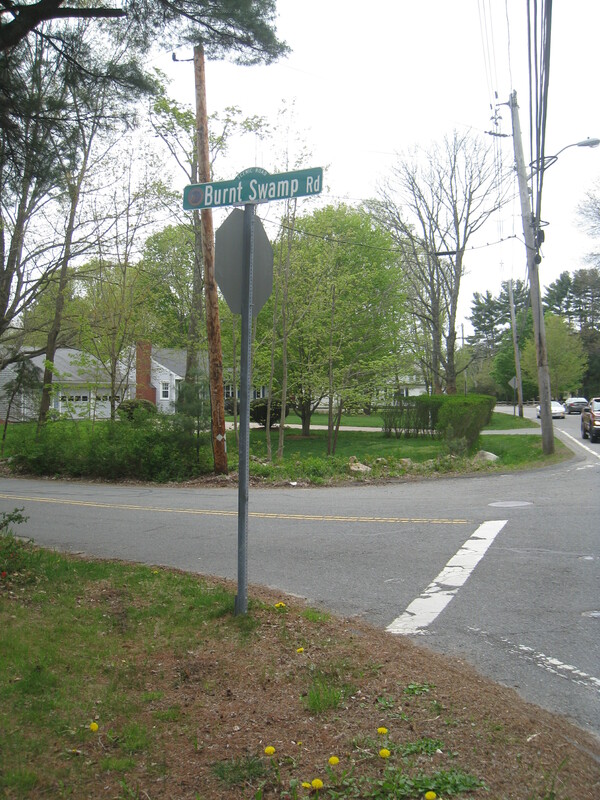 He pursued his preparatory studies in West Wrentham under the instruction of Rev. William Williams (B.U. 1769), who was a member of the first class graduated at Brown. After a course of theological study, which he pursued with Dr. Gano, he was ordained to the Christian ministry under the direction of the First Baptist Church, which church he had joined by baptism while he was at the college. 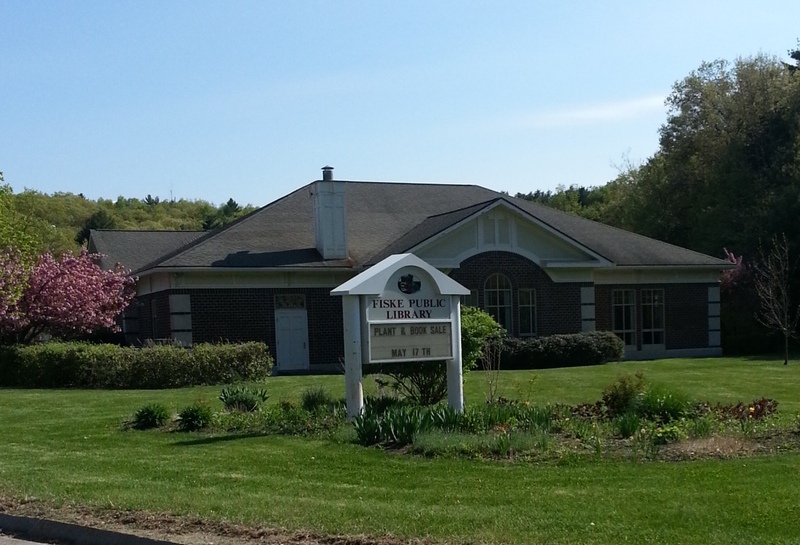 He was then settled as pastor over the Baptist Church in Goshen, Conn. But very soon he was obliged, by ill health, to give up the pastoral care of the church, and afterwards, from a distrust of his fitness for preaching, he retired from all ministerial service, and purchasing a place in Cumberland, devoted himself to farming pursuits, in which he continued all his long life. He was, however, always fond of study, was a great reader, and was especially well versed in American history, and interested in all great national questions of the past as well as the present. Mr. Aldrich was justice of the peace for many years, and filled other offices of trust in his native town. He was honored as a good Christian man, interested in all enterprises favorable to morality and philanthropy. His faculties continued to be clear and vigorous to the very end of his extended life “his eye was not dim, nor his natural strength abated.” His Christian faith and hope were strong and bright to the last; and his end was peace. Mr. Aldrich was at the time of his death the senior Alumnus of the University. Mr. Aldrich married in 1813, Miss Jemima Rhodes, of Wrentham, Mass. 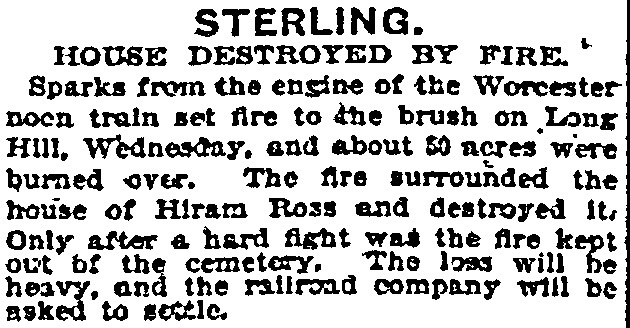 Three of their children survive him, Mr. Amos Aldrich, of Foxboro, Mass., Mr. Emulus Aldrich, of Ashland, Mass., and Mrs. Eliza (Aldrich) Freeman, of Cumberland, who is living on her father’s farm. 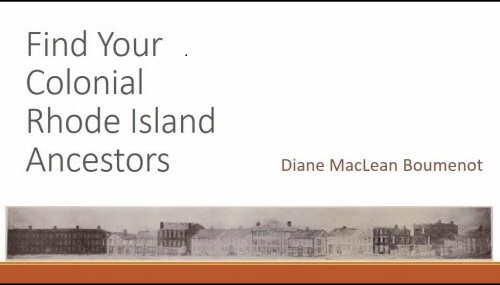 — The Providence Daily Journal, vol. LII, Wednesday Morning, June 18, 1879, no. 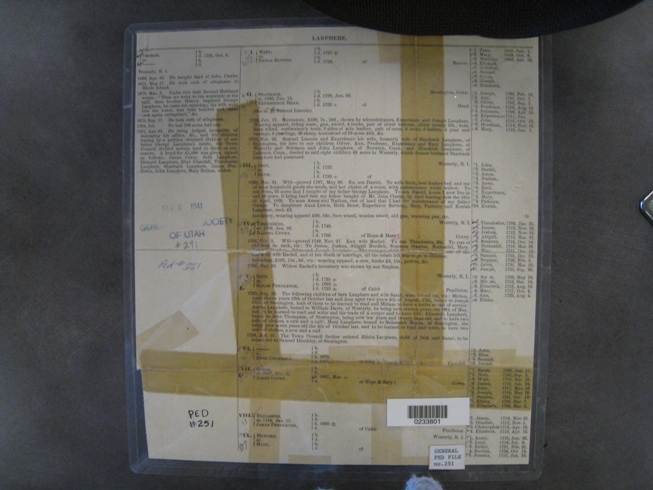 145, page 1, accessed on microfilm at the Rhode Island Historical Society Library. 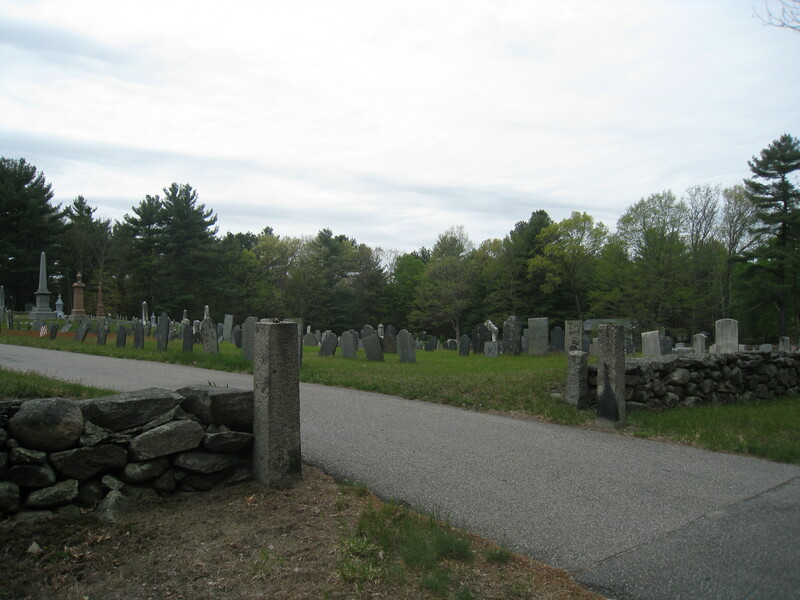 David was buried along with many other family members at the Burnt Swamp Road Cemetery in Sheldonville, Massachusetts. 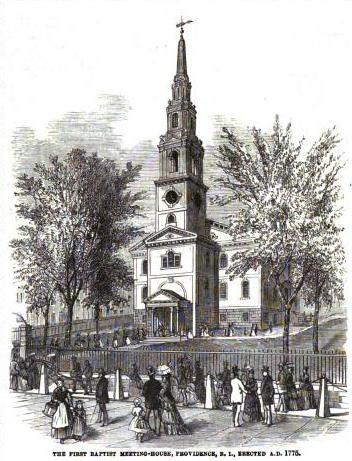 – picture from Frank Leslie’s Sunday Magazine, 1877.